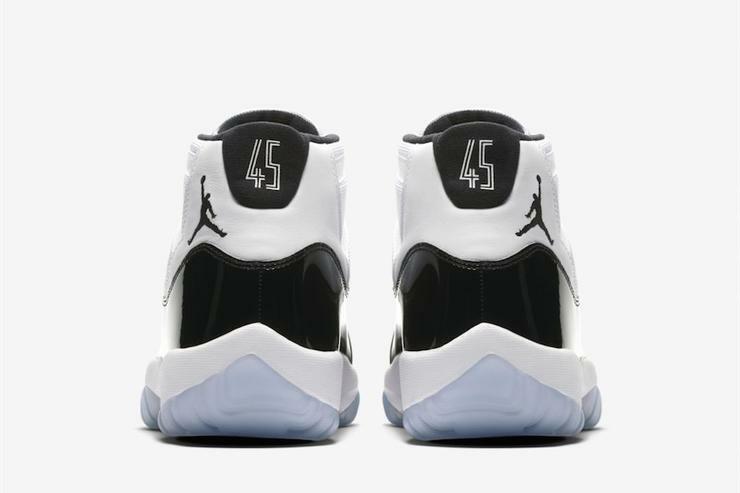 The Nike SNKRS app has just launched a new augmented reality feature that allows consumers to preview a specific sneaker, such as the highly anticipated "Concord" Air Jordan 11. As shown in the video below, all you have to do is locate the sneaker you want to check out in the app, click the camera button and then tap on a flat surface to 'pin' the sneakers. Of course this isn't as good actually holding the physical product in your hands, but you won't have to wait much longer to get that chance. The beloved white and black Air Jordan 11s will be returning to retailers next Saturday, December 8th for the retail price of $220. The remastered Concord 11s will come with a bulkier "OG" patent leather cut, similar to other recently released 11s like the "Space Jam" and "Midnight Navy" colorways. Additionally, the 2018 version will come with a '45' on the heel as opposed to the traditional 23.